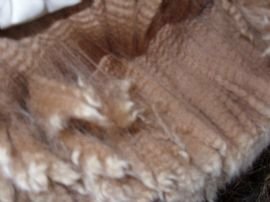 Galaxy's Comet Fleece Incredible luster & staple length! Comet is a dashing young guy - No surprise with his outstanding lineage. With Super Nova on his Sire Galaxy's side and Royal Rose/Hemmingway on his dams side. 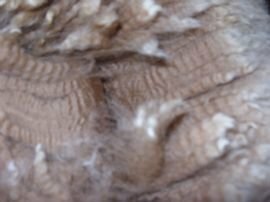 He has the most beautiful lustrous fleece. His total staple length for such a young animal is truly amazing! He has bold crimp, and soft handle, with terrific staple formation. Again at MAPACA, Comet helped us achieve a fourth place ribbon in "Breeders Best of Three" in a very competitive class. 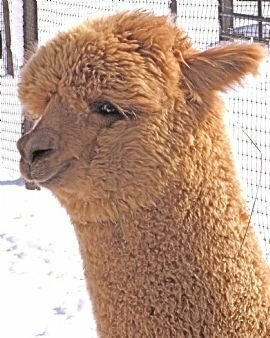 Island Alpaca would like to retain 3 breedings, half-interest considered. Her lineage is terrific too; Tranquility is a Snowmass Royal Rose daughter, known by many as "the maker of champions who makes champions": See her sires impressive resume! 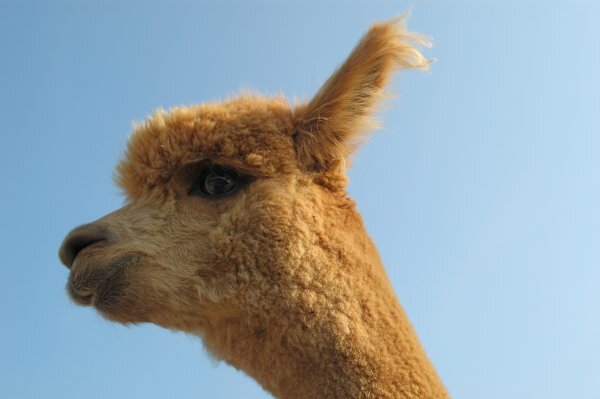 Tranquility is a terrific mom.. the most conscientious of all dams here at Island Alpaca. She is the most watchful and nurturing to her cria. We are not excited to sell her, as she has produced some marvelous offspring. We have two beautiful cria at the farm, Frida and Calvin, that will remain in our herd, carrying on her terrific genetics. White 1154900 --Mixed Heritages-- His sire CCNF Galaxy won the FIRST for WHITE fleece in a competitive class at the 2006 Empire Extravaganza, and took a reserve championship at the NECC 2005, for White Male, and first place for yearling white male.